The Kink Bike Company is known for producing the whole package, from parts and frames to complete bikes and clothing too. They also have bike frames available that have been designed by Chris Doyle, the Dirt Jump King and KC Badger the Park Master. 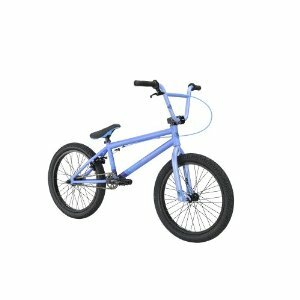 They offer bikes that allow kids to get in on the BMX scene with a great bike for a great price. The Gap is a higher mid level BMX from their range and has a 20.5” top tube frame, cromoloy front triangle and a mid BB with integrated head tube. One of the most sought after features of the Gap is the cromoloy forks along with 8” Kink Midtown Bars. This is a bike that is packed with quality parts ensuring an incredible ride. The price of the Kink 2012 Gap bike means that it is affordable for those looking to get into BMXing with a great piece of kit without breaking the bank. It has a solid frame that can withstand just about anything that you throw at it, plus the frame is quite lightweight compared to other bikes in this price range. The pivotal padded seat means that it can be adjusted to suit the rider. A rider of any skill can easily get the best out of this bike, but it is even better for someone just starting out and looking to learn how to get the best from their BMX. Riders have reported some issues with the grips, and that the bearings can go bad, but that is only after it’s been put through its paces a few hundred times. The pedals could do with a little adjustment but as far as problems go it is only a minor issue. This bike can take a beating; the only problem is that the bike shows its scars. The grips and the frame can be tweaked to make the hold better if it bothers you too much. This is a great bike for the beginner; it can handle the rough and tumble and can certainly take a few knocks as you get to grips with your ride. For the price it gives you everything that you need, but as you get to know the bike you can make a couple of adjustments to the stem so that you will have a little more control over your landings which seems to be the basic complaint about the bike. But when you look at the bigger picture, the bike you are getting for you money is well worth the price. At around $330.00 it won’t totally empty the bank but it will give you a long performance life and more importantly bags of fun. 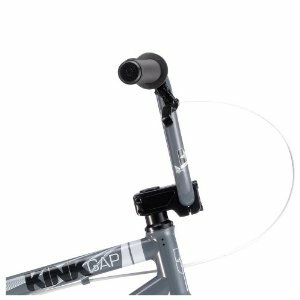 This entry was posted in Bikes, BMX, Kink, Reviews and tagged Kink 2012 Gap 20.5 Inch BMX Bike, Kink BMX Bikes, Review. Bookmark the permalink.